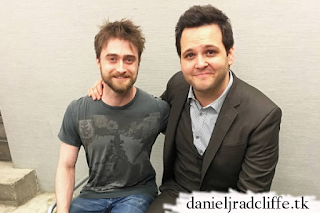 Daniel posed backstage with Derek DelGaudio on 29th June after seeing his Off-Broadway illusion show In & Of Itself at The Daryl Roth Theatre in New York. Update: 9th February 2018. A photo uploaded back in December 2017 regarding the show and their website thisisnotabrick.com.